PVC door stop and vinyl covered foam weatherstrip all in one. Used in all applications where wood would be used. Each kit contains two 7″ pieces and one 3″ piece. 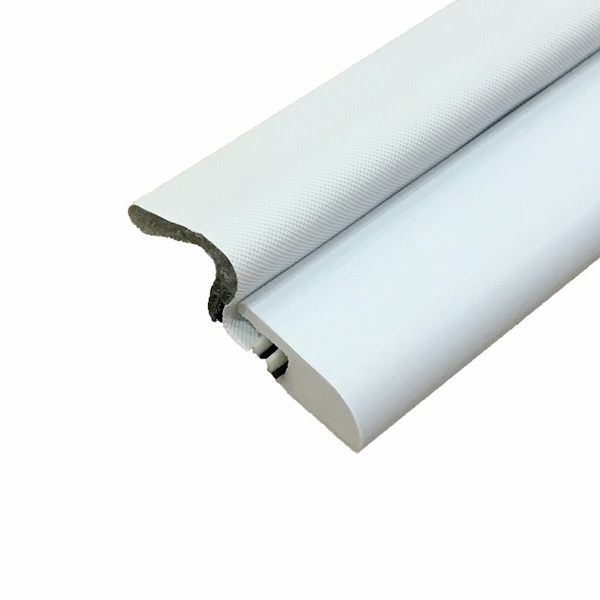 Made of aluminum and vinyl for metal or wood frame doors. Installs easily on the doorstop. Slotted holes make adjustments easy. Kit includes one 36" and two 84" strips, plus nails 1/2" wide. Aluminum and vinyl weatherstrip is fire labeled and UL classified. Rolled aluminum door weatherstrip with slotted holes and aluminum stop for easy adjustment and installation in wood or aluminum doors. Durable aluminum with foam and vinyl seal for the best protection from the outdoor elements.